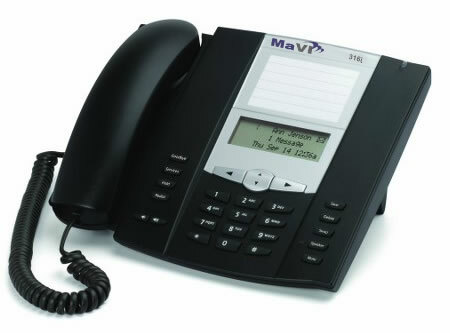 The 316i is MaVI’s entry level, managed, IP-based telephony solution. Designed for small and medium-sized businesses, The 316i provides companies with enterprise-class phone systems at 40 to 80 percent less than the cost of traditional systems, and at the same price as, or less than, the key phone systems most businesses use today. The 316i Standard Edition includes auto-attendant, voicemail-to-email, music-on-hold, a spell-by-name directory, and more.